The Indian government has halted exports of cotton yarn until the end of the current financial year, in a move that local groups warn will have "far reaching adverse consequences" for the textile industry. 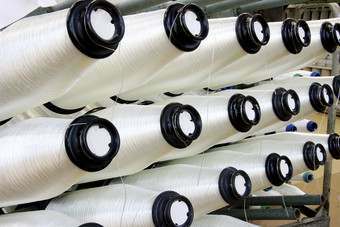 The decision comes after the Ministry of Textiles imposed a ceiling of 720m kg on cotton yarn exports until the end of March 2011, but reached this cap through applications already in the pipeline for export registrations. The government says its action has been prompted by the need to meet growing domestic demand and an attempt to halt soaring price hikes. "This decision will provide adequate domestic availability of cotton yarn and ensure price stability which will benefit millions of handloom weavers, knitwear industry, garment manufacturers and powerloom weavers," a statement said. According to the Confederation of Indian Textile Industry (CITI), yarn shipments will soar over the next 45 days as exporters try to push through deliveries that would have normally taken place during four months up to end March 2011. "Mills will be forced to divert supplies from domestic market to export markets during this period, reducing availability for domestic consumers of yarn" - albeit on a temporary basis - warns CITI chairman Shishir Jaipuria. He adds that India's restriction will lead to a hike in international prices for cotton yarn, since India is currently the largest supplier to global markets. Other major exporters such as Pakistan, Turkey and Indonesia will benefit from this price increase too. For Indian spinners, there may be problems honouring commitments to domestic customers during the next 45 days. After that they may face a glut of cotton yarn, since domestic consumption cannot meet cotton yarn production. Furthermore, from January to March 2011, no cotton yarn will be supplied to overseas customers, affecting "their individual reputation as well as that of India as a reliable supplier of cotton yarn," Mr Jaipuria states. The Confederation wants the government to reconsider its decision. Indian spinners, too, believe the measure will see them lose export customers to competitors such as Pakistan, China, Indonesia and Bangladesh, and this business may not return once exports are resumed after April 2011. "The reputation of our country as a reliable supplier has been dented", laments Ashish Bagrodia, president of the Northern India Textile Mills Association (NITMA). He also points out that many mills focusing on specialty and value added yarns will be forced to close, since there is no domestic market for these yarns. Likewise, a large number of spinning mills are only geared for exports since they operate under various export promotion schemes. On the other hand, Premal Udani, chairman of the Apparel Export Promotion Council (AEPC) believes the decision to cap cotton yarn exports is already benefiting local firms. "As expected, prices of yarn and fabrics have started softening and availability is also improving." As well as this latest move to curb exports of cotton yarns, India also has a 5.5m bales limit on exports of raw cotton - after banning cotton exports completely for seven months earlier this year. There has been anger at the government's stance on cotton exports from textile groups around the world, with the latest call for action coming from US importers of apparel items. "Since April 2010, India has restricted or banned the export of cotton which has inflated the price of cotton all around the world to its highest price in 150 years," said AAFA president and CEO Kevin Burke, in a letter sent to US trade chiefs on Friday (3 December). "In the last eight months alone, the price of cotton has more than doubled to around $1.40 per pound. This will very soon translate into higher clothing and footwear prices for hardworking American families. "The sky-rocketing price of cotton has also sent the domestic US apparel, footwear, and textile manufacturing base that supplies the US military into disarray," Burke said, noting that firms are struggling to secure enough cotton to meet their contracts." Echoing the views of other textile groups in the US, EU, Turkey, Mexico, Brazil, Colombia, Costa Rica, Dominican Republic, Ecuador, El Salvador, Guatemala, Honduras, Nicaragua and Peru, Burke claims the Indian government "has created turmoil and panic in the world market." He adds: "The Indian government's actions are blatantly discriminatory and clearly violate Article XI of the GATT agreement which prohibits export bans that benefit domestic industries. "Specifically, India imposed the export ban for the sole purpose of artificially lowering prices on an integral input used by India's apparel and textile industries, industries which were already major competitors in the global market."